The Atrium allows for situations where a consumer (LEP) does not wish to work with a linguist and vice verson. When this relationship is entered, the linguist will not be shown in the list of available interpreters for requests for the consumer. This can be accomplished either through the Interpreter database or (beginning with version 8.0) through the Consumer database. 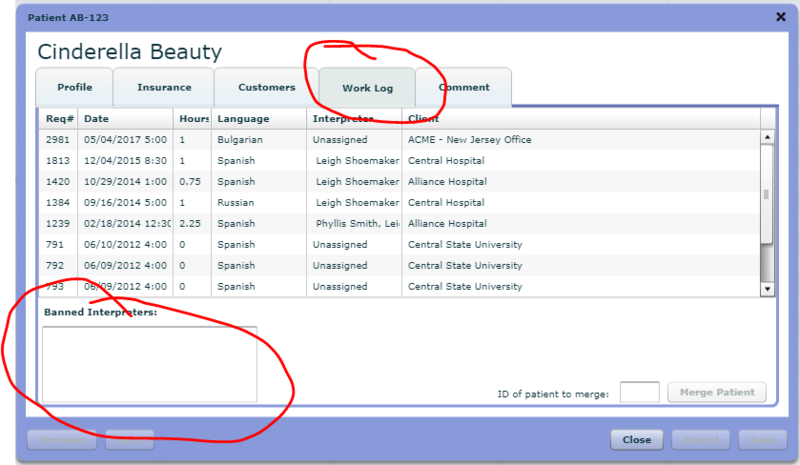 Using the Interpreter database, simply select the interpreter and go to the Work Log tab. Start typing the consumer name and the list of potential matches is shown. Select the correct consumer and Save. This relationship is also shown in the Consumer database with no other entries needed. With version 8.0, the relationship can be entered through the Consumer database. 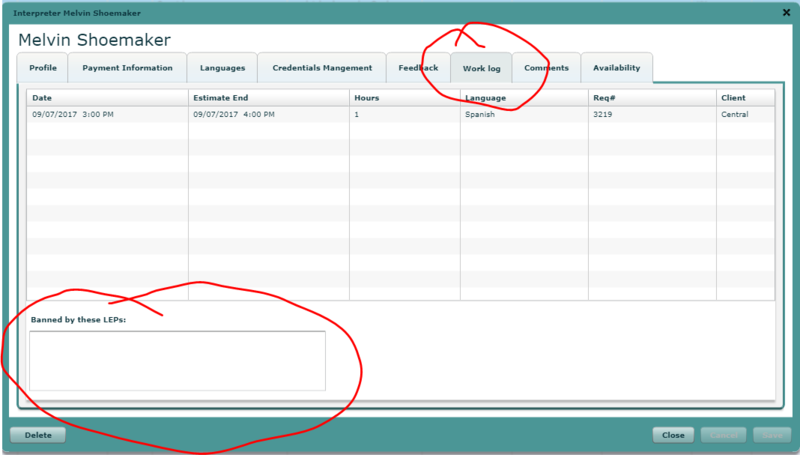 Using the Consumer database, select the consumer and go to the Work Log tab. Start typing the interpreter name and the list of potential matches is shown. Select the correct interpreter and Save.